It was built in the years straddling the early part of world war two, a neo-classical masterpiece inspired by the bank buildings of 1930s America. After a decade of neglect, during which it was briefly owned by former Hearts FC owner Vladimir Romanov, the former headquarters of the National Bank of Scotland and later the Royal Bank of Scotland is now back in full bloom, the centrepiece of an £85m restoration project in the heart of Edinburgh. 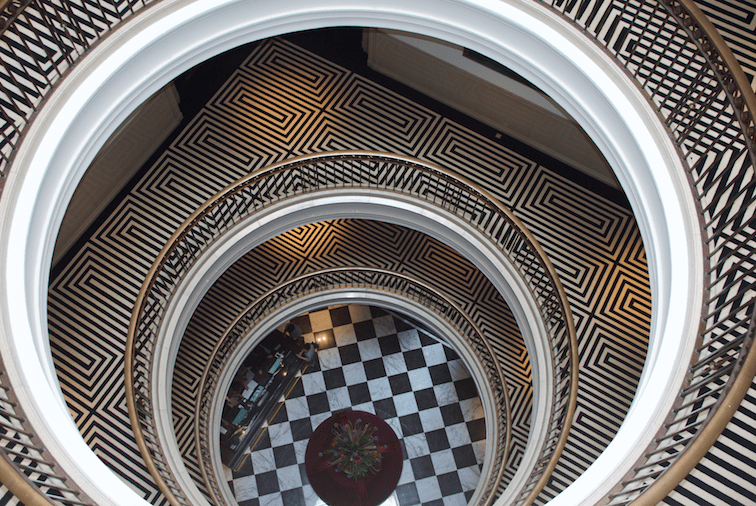 Under its appropriate new name, the 50-apartment Edinburgh Grand promises to add another tier of luxury to the city’s hotel stock, mixing outstanding period features with modern design and technology. It now forms part of the boutique hotel management company Lateral City Apartments run by the Edinburgh-based Chris Stewart Group which specialises in restoring rundown premises, most notably Advocates Close in the old town. It also operates the Old City Chambers and Merchiston Residence. General manager Gavin MacLennan is like a kid with the keys to the candy box. He beams with excitement as he shows off the extensive refurbishment which reveals a marvel of mid-twentieth century design and architecture. Visitors will be struck first by the spectacular atrium, a series of sweeping circles rising above the lobby. It epitomises 1930s style and elegance which will be crowned by the restored former Art Deco banking hall when it reopens as a Hawksmoor restaurant next month. 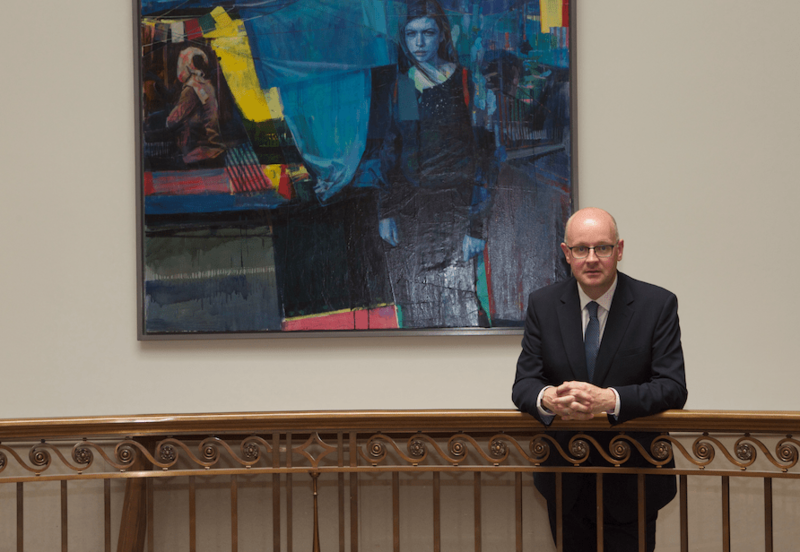 MacLennan is just delighted to be back in Edinburgh and managing a city treasure. He returned to Scotland from working with Starwood in New York and was introduced to Chris Stewart who took him to see his new project. The city’s marketers have been eager to get another top end hotel into the city to complement and enhance the Balmoral and Caledonian amid frustration over converting the old Royal High School on Calton Hill. The Edinburgh Grand’s delayed opening meant it was unveiled just days after the reopening of the Nira Caledonia in Stockbridge following a devastating fire. They will go some way to satisfying demand among well-heeled visitors. Already the new kid on the block has claimed its place in the pecking order by offering the most expensive suite in Scotland. The seventh floor apartment with three bedrooms and a rooftop patio with sweeping views of the city was listed at £2,000 a night. MacLennan reveals that he’s getting £3,000 and that there have been eight bookings so far, each for a minimum four nights and all of them during the August Edinburgh Festival. This compares to a £2,000 night stay in the J K Rowling suite at the Balmoral. Maybe next year it could go higher as the weekend that commands the highest price for hotel rooms in Edinburgh is not the Festival, nor Hogmanay. It’s the Edinburgh Marathon, when all hoteliers push up their rates as thousands descend on the city. The Stones are not among the Grand’s guests, he adds, but he smiles cheekily when asked if anyone of note has booked in. “Well, one or two,” he says. 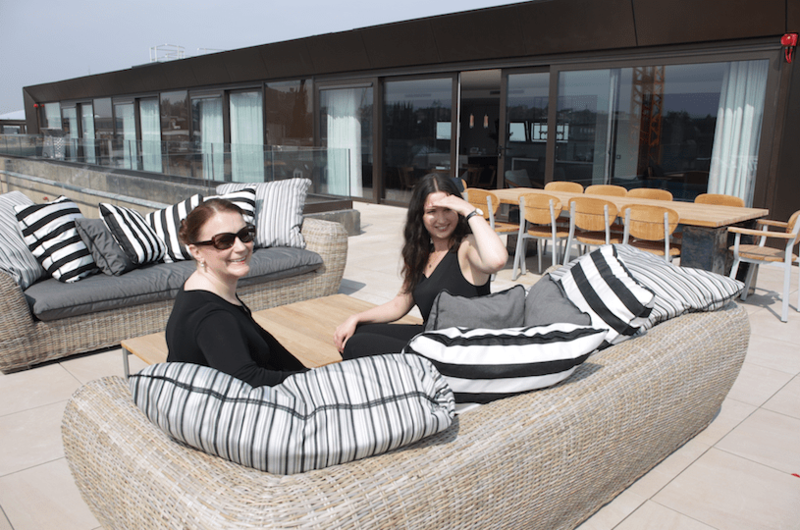 He’s expecting the hotel’s guests to include top business leaders and has been busy building relationships with Standard Life Aberdeen, Harvey Nichols and Sir Richard Branson’s Virgin Money, all of whom are neighbours in St Andrew Square. “Of course, he’ll soon have his own hotel in the city,” says MacLennan, referring to Branson’s planned Virgin Hotel in Victoria Street. 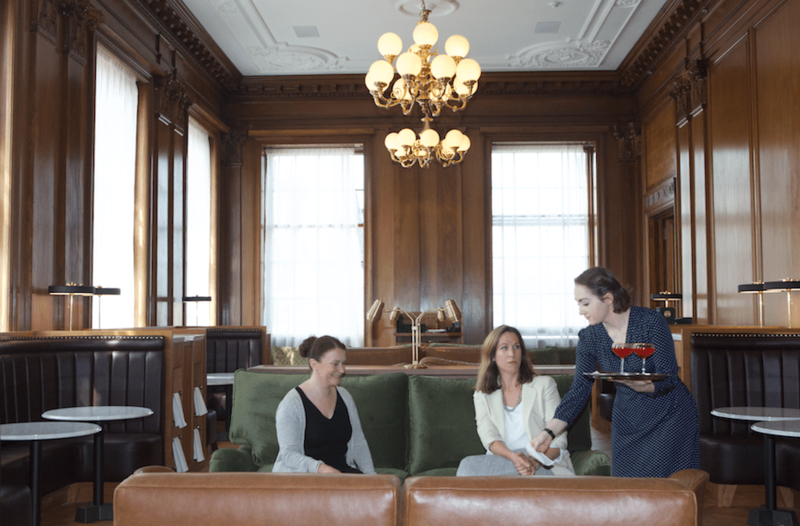 Those who choose the Edinburgh Grand will see how many of the building’s original features, including its magnificent wood panelling, bronze balustrades and brass door handles, have been restored, retaining its authenticity and atmosphere. There are four huge safes, one that will become a private dining area and another a dance studio. The black and white chequered marble floor in the lobby recreates the original while the few modern decorations include paintings by David Martin, a favourite of Chris Stewart. MacLennan has sketchy memories of visiting the building as a boy, probably with his grandfather. “I was here when they took the scaffolding away from the atrium and when I looked up I suddenly remembered looking up there once before,” he says. His career in hotels was probably meant to be, as both his parents worked in the industry and met at the Caledonian where his father got him his first job at 16. “I got a taste for luxury and have never looked back,” he says. He went on to work in a number of top hotels in the UK and overseas, including Turnberry, the Balmoral and Gleneagles. While in New York he worked for Starwood in marketing and PR but missed being in contact with the customer. While we’re chatting in the Penthouse he dashes off briefly to meet the hotel’s first guests and present them with a bottle of Champagne. You seem a very upbeat person, but what annoys you? Lack of punctuality and people taking things too seriously. Life is for fun. Let’s enjoy it. If you could have a private meeting or dinner with three people who would you choose?